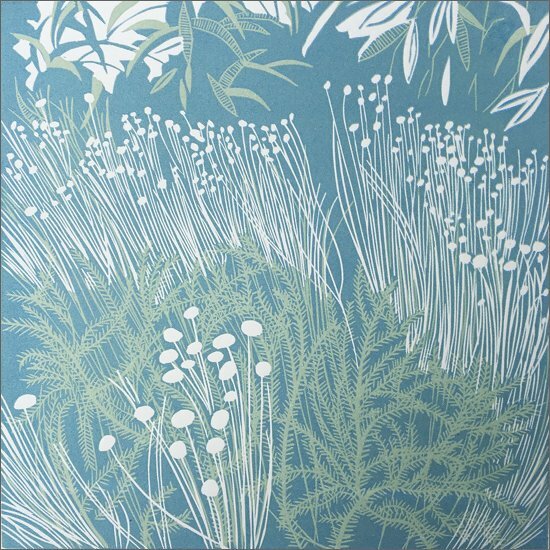 I am inspired by plants and natural forms, as a gardener and a printmaker - from their colour and the detail of their structure to the visual impact they have on their surroundings. The garden, therefore, is one of my key subjects, but colour, structure and pattern in landscape draws my attention too. 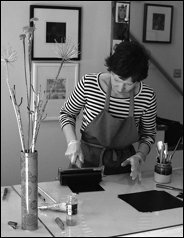 Drawing underpins my work - it is where many of my prints begin, in sketchbooks, and the processes I choose which allow me to incorporate drawing in some form or other. The riverside studio in which I work, in rural Northumberland, is rich in inspiration and the work you will find here embodies my practice. If you would like to visit the studio by appointment, to view my work, please contact me to make arrangements. Click on this link for location map.